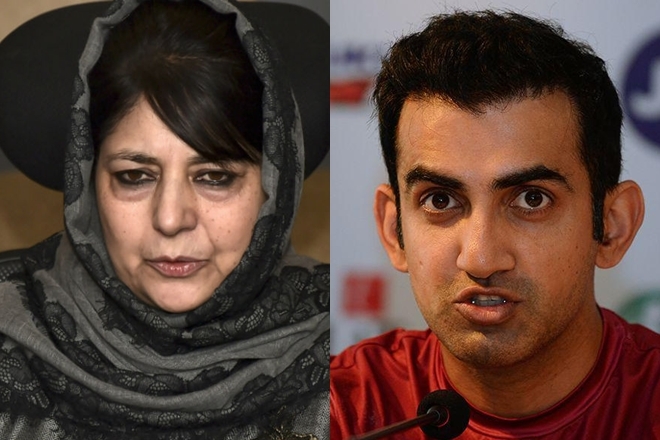 Jammu, April 10: Former Jammu and Kashmir Chief Minister and PDP president Mehbooba Mufti has blocked cricketer-turned-politician Gautam Gambhir on Twitter after a heated argument on the microblogging site. Mufti and Gambhir had a verbal spat over scrapping of Articles 370 and 35A of the Constitution which grants special status to the border state. “Most welcome Mehbooba Mufti ma’am, happy to be blocked by a callous individual. By the way, at the time of writing this tweet, there are 1,365,386,456 Indians. How will you block them?” Gambhir, who joined the BJP recently, said in a tweet. On Monday, the Delhi High Court admitted a plea seeking a direction to the Election Commission for banning former Jammu and Kashmir Chief Ministers Farooq Abdullah, Omar Abdullah and Mehbooba Mufti from the upcoming Lok Sabha elections. Mufti immediately took to Twitter to blast the saffron party. “Why waste time in court. Wait for BJP to scrap Article 370. It will automatically debar us from fighting elections since Indian constitution won’t be applicable to J&K anymore,” she said in a tweet. Later, Mufti criticised Gambhir separately saying cricketers should not make political comments. “Cricketers should stick to playing cricket. Why wade into politics especially when it comes to issues like Kashmir? They have no knowledge about it. Take your aggression to the field, and once you’re done, hang your boots with grace. Disgraceful,” Mehbooba Mufti tweeted. The BJP has been in favour of scrapping Article 370 and Article 35A in Jammu and Kashmir. 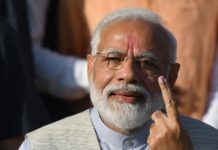 Also, in its just released manifesto for the Lok Sabha election, the saffron party said that it will take steps to strengthen the armed force in the state and annul Articles 370 and 35A. “We reiterate our position since the time of the Jan Sangh to the abrogation of Aicle 370. We are commied to annulling Article 35A of the Constitution of India as the provision is discriminatory against non-permanent residents and women of Jammu and Kashmir. 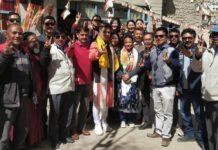 We believe that Aicle 35A is an obstacle in the development of the state,” the BJP’s Sankalp Patra said. Mufti, Omar Abdullah and Farooq Abdullah have been warning the BJP and PM Modi against tinkering with Articles 35A and 370 saying it will end Kashmir’s ties with the rest of India. The former CMs had, however, welcomed the Congress party’s manifesto promise to amend the AFSPA in Jammu and Kashmir and do away with the British-era sedition law. Previous articleMHA defends highway ban, says it will be only till May 31 . 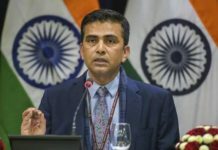 Next articleOmar seeks response from PM Modi over Imran Khan’s ‘endorsement’ for next term.